An increase in the number of minicabs in London has lengthened journey times by an average of 10% over the past 12 months, according to research from Addison Lee. According to the private hire car firm, the number of new entrants to the market has increased by 56% over the past two years. Much of the growth is down to the success of Uber, the ride-hailing app, which has gone from zero to more than 20,000 private hire cars in just three years. 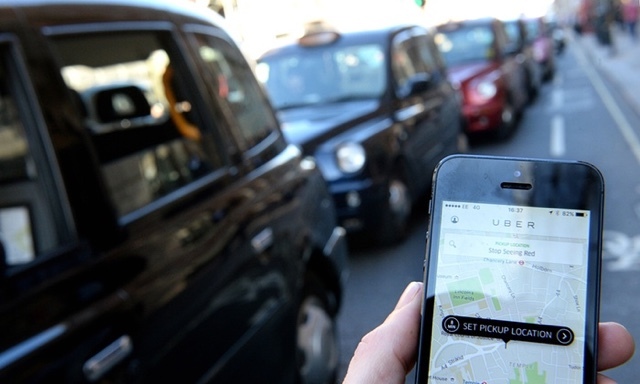 There are nearly 95,000 licensed private hire drivers in London in total, and estimates suggest the figure will rise to 148,000 in the next two years. There has been growing pressure on politicians in recent months to impose restrictions on the number of minicabs in the capital, both because of congestion and pollution, but Andrew Jones, under minister at the DoT, said earlier this week that the government would not do so. For Boland, too, there are too many drivers. “Congestion and slower journey times are huge issues for London drivers,” he said. PreviousPayPal Here : Approved For London’s Black Cab Payments. A Final Call To Arms : Surrounded…But We Have The Fire Power.